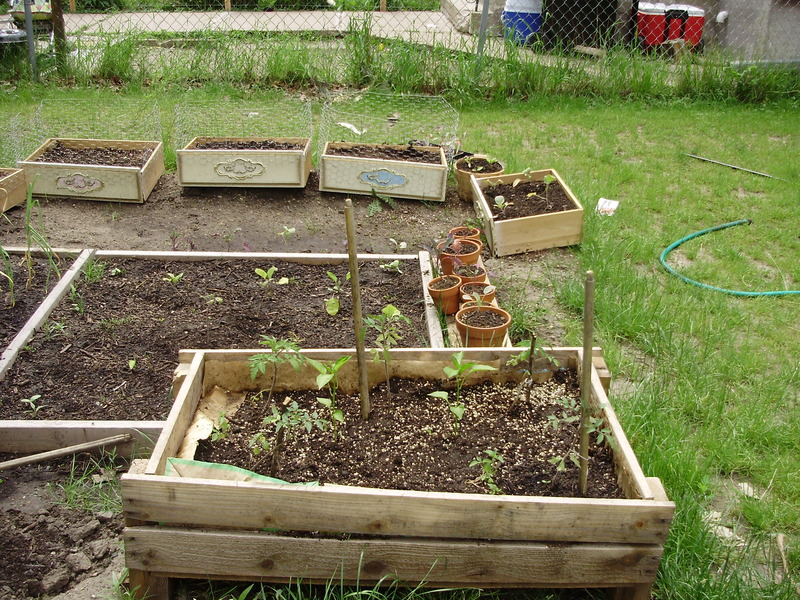 Here in Minneapolis we are making a movable container garden in my yard (since we are renters!) Early this spring we joined Gardening Matters Hubs program, which provided us with plenty of seeds, and already started seedlings. We have used found Kiwi shipping containers as movable raised beds, that our peppers and tomatoes are happily sprouting in. 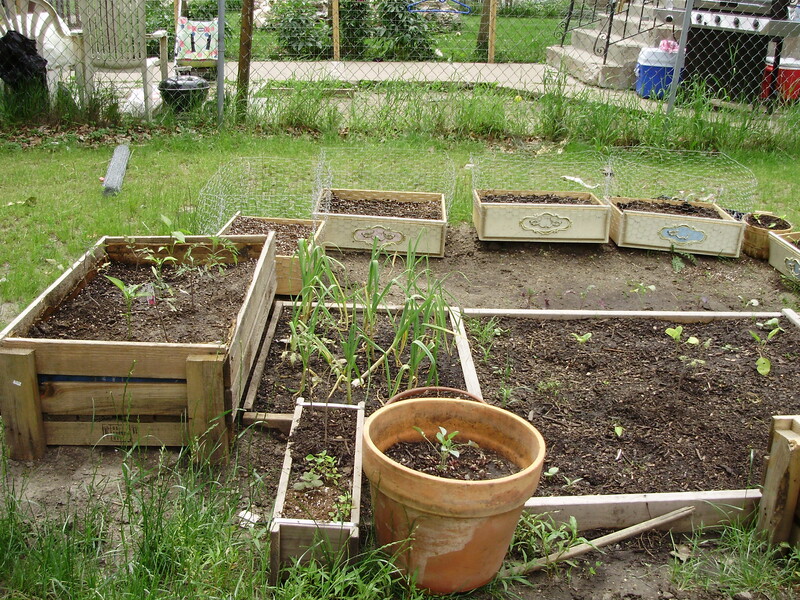 We have also planted beets, onions, cucumbers, and broccoli in found dresser drawers (untreated and unpainted). But rabbits and squirrels started eating the seeds so we stapled chicken wire around the sides that that seemed to help keep them out. Across the yard is a Scarlet Runner Heirloom Bean Pole!! 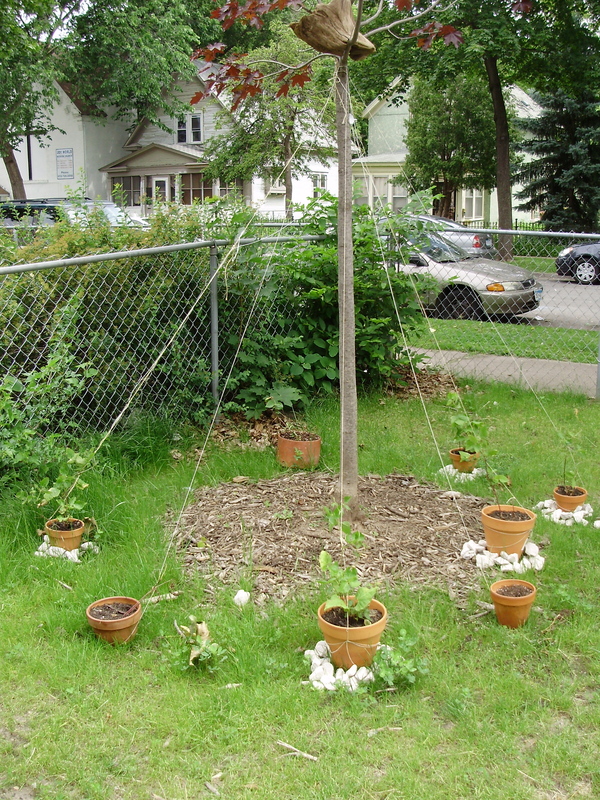 They seem to be doing pretty well and are starting to climb the string up to the top of the pole/sapling. Nestled at the top of the sapling is something called a river tooth, which according to David James Duncan, are remains of old-growth trees that fall into Northwestern rivers and are sculpted by time and water; you can check out his book called “River Teeth: Stories and Writings” if you want to read more! This entry was posted in Local Programs by s0luti0naries. Bookmark the permalink.